Center for Neurotechnology (CNT) members are engineering new ways to help the brain and spinal cord heal and recover from injury in a unique innovation ecosystem that includes researchers, educators and industry affiliates at multiple institutions and companies worldwide. We work together, with the guidance of our advisory boards, to develop and distribute neurotechnology that is revolutionizing the treatment of stroke, spinal cord injury and other debilitating neurological conditions. 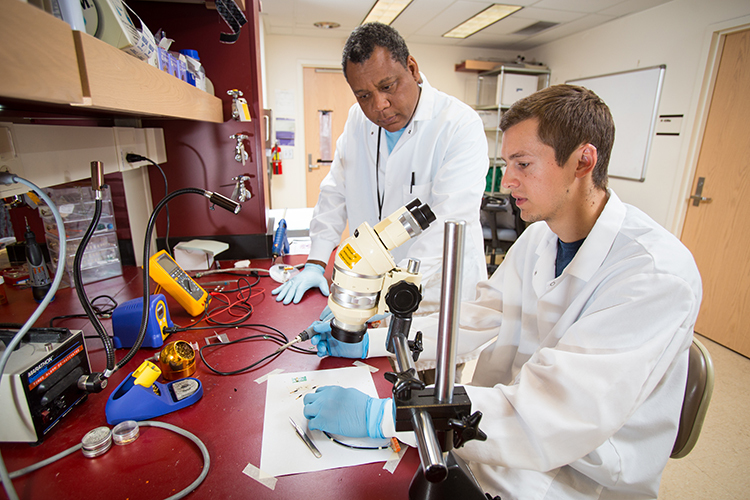 Our researchers are discovering and applying principles of engineered neuroplasticity, which is a new form of physical rehabilitation that uses engineered devices to restore lost or injured connections in the brain, spinal cord and other areas of the nervous system. At the same time, CNT neuroethics researchers are pioneering a framework for deep integration of ethics into neural engineering research and education, and we are doing this in close partnership with neurotechnology end-users.